'inserts the ID of a match into the table. 'Use regex to find the id of the game.
' This gives the ID of the match for the score card to detect and use. 'Submit it to SQL Database, your SQL implementation may/will differ. 'Check if a match is on, by checking for a MatchID in the database.
' If there is a record in the database, check the cache. 'Fix the bottom links on the desktop scorecard, they are relative, so they won't work anymore. 'If it worked, insert into cache, with an expiry of one minute, so only 1 computer per minute scrapes the page. 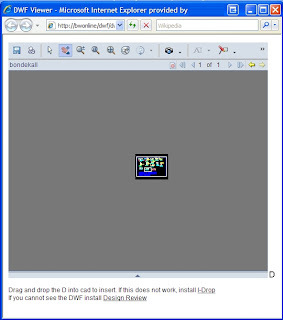 'load the html from the cache & output it. 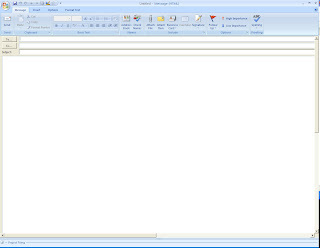 lblHTMLOutput.Text = "Currently no games are being played, this will be updated when one begins"
Outlook 2007 custom forms - a black hole to avoid. 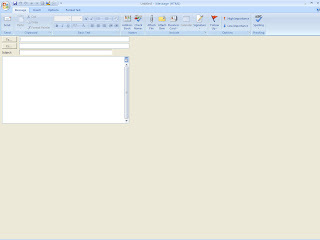 Microsoft changed a few things in Outlook 2007, including aesthetic features, rendering of emails, custom form creation, and other bits and pieces. Firstly, aesthetically there are some menu changes, mainly in composing emails, Outlook is probably the worst example of the ribbon implementation in the whole of office, with it only partially implemented. It seemed somewhat unnecessary given that only email composition is affected by it, and that the cluttered menu of the main Outlook window remains (and some awful click counts when trying to access stuff like the manage forms menu - why isn't this in with the 'tools -> forms' menu?). Then, despite kicking and screaming from anyone who sends HTML emails, they have changed the rendering of emails, from Internet Explorer to Word. It seemed somewhat silly given the release of Internet Explorer 7, but they've done it. It's added some cool Word-like features to editing of emails, and made copying and pasting from Word a breeze, but in the long run, you don't know what your emails are going to look like on the other users computer. However this is not where I have had the most hassle, the company I work for recently purchased Office 2007 standard, seeing as we run an Windows SBS server, we already had Outlook 2003 licenses for all users, but seeing as we couldn't buy Office without Outlook we decided we might as well install it. For a couple of years now, our company has been using Outlook 2003, with a Public Folder system for filing of all correspondence, despite Microsoft slowly prodding us towards Sharepoint, we can't see any reason too. As an engineering firm, all of our major documents and drawings are stored on a shared network drive, so they can be opened in Autocad. This works well for a company of around 60 employees. We just drag and drop our emails to the appropriate folder and thats that. To simplify the filing process we have created a custom form, which has a field next to the subject field for our job number. This then sets the category of the email to be that job number, and carbon copies it to an account that will automatically file it. It's worked without glitch for a long time now. That is, until we installed Outlook 2007. It was claimed that even though there is a new way of doing form customization 'Form Regions', the old style will still work fine. It seemed to at first, emails still got filed correctly. However a number of problems started to occur. Firstly, when trying to forward an email, that was received from someone externally (ie didn't use our custom form to create it), it causes the error "the messaging interface has returned an unknown error". We tried recreating the form from scratch, checking everything on the form, reinstalling Outlook etc - no luck. Weirdly, on occasion it did magically work, but then it would stop again, and on any external email in the public folders it always did it. Another major error, was that the custom form itself would randomly go really wide, or really small, and not scroll with text, see the pictures below for more details. Not as annoying as really wide, as the text wraps so its just like a small window with wasted space. Most annoying of all - form goes really wide, the project id field is off the screen and you have to tab across or use the new set of scrollbars to get to it. If you type text that goes of the screen, it doesn't wrap, and doesn't automatically scroll across, so you can't see what you are typing. - On some users outlook, attachments just disappear, even though you can still select save all attachments to get them, they do not show up on the view message screen. - Can't rename emails in your inbox anymore, previously we could rename the subject of a message that was in our inbox, this made for easier filing. - For some reason there is a rule setup automatically that removes the category from all emails.. why? This makes it harder to see what project internal emails are related to. - Outlook:\\ links in IE no longer work - why? - Can't get rid of the bar telling you to enable instant search - we don't want to, Windows Desktop Search on XP slows down Autocad to a crawl! - Opening shared calendars is dodgey at best, sometimes works, sometimes doesn't. The rest of the Office 2007 suite is going brilliantly, just some caution should be had for any small business looking to use Outlook 2007. Until a solution to every one of the problems mentioned above is found, our company will be sticking with Outlook 2003, which really doesn't offer much less in terms of functionality.